The main point of distribution for Alpaca Classica garments is the Alpaca Shop in Hahndorf, also part of the Ambersun business. 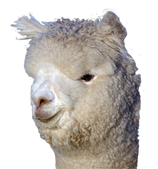 The Alpaca Shop also offers other Australian made products, and alpaca garments imported from Peru and Bolivia. Hahndorf is a quaint tourist town in the Adelaide Hills, approximately 20 minutes drive from Adelaide.